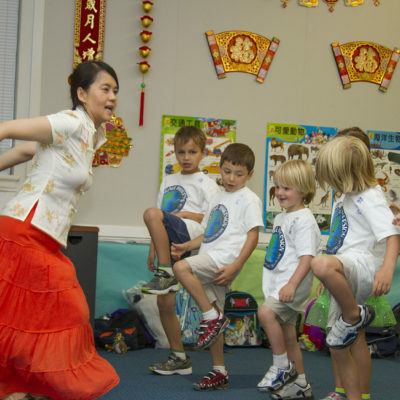 Whether it is studying about the great Spanish artists or about the architecture of ancient China, children learn to speak a language by learning about the people and places where it is spoken. 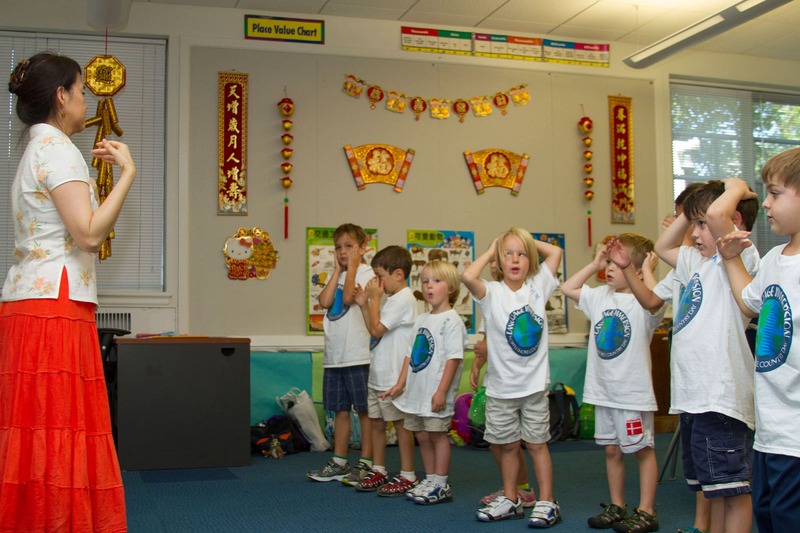 The Language Immersion Program is offered by the North Shore Country Day School in conjunction with the Day Camp. In this half-day program, children receive instruction where the integration of content and communication skills get children involved. With small teacher-to-student ratios, teachers interact with students and promote the acquisition of the language. Using many different instructional strategies and academic tasks, such as computer projects, music and art, students are actively engaged in the learning process. 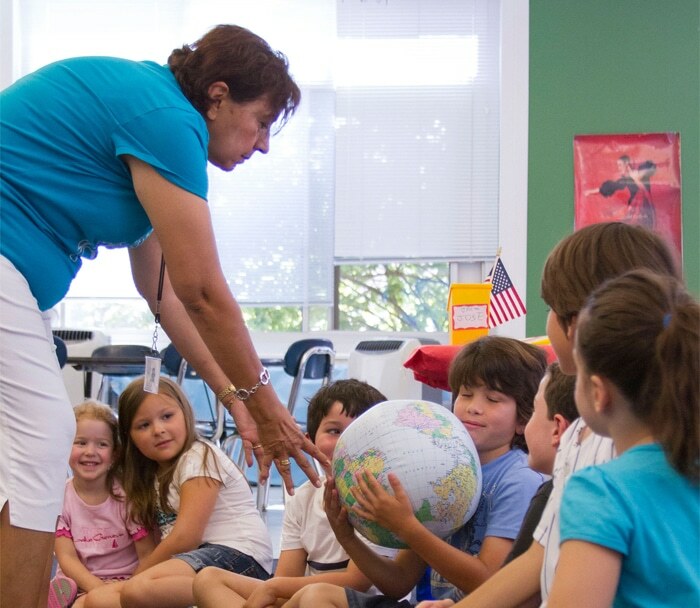 Language Immersion dates are June 17 – August 9. There is a minimum four-week sign up. You may choose the weeks you wish to attend. The weeks do not have to be consecutive. There will be no program on July 4th and 5th. 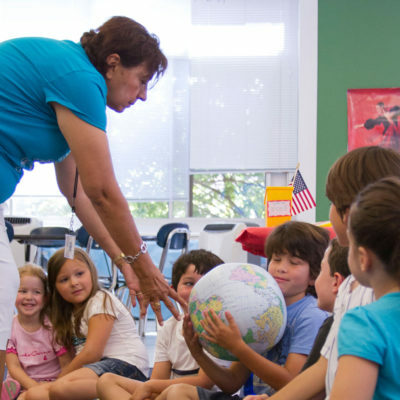 The times for Language Immersion are 9:00 a.m. – 12:00 p.m.
which is 12:00 p.m. – 3:30 p.m.
Students are grouped by age, grade and ability. Class sizes are one instructor to 12 campers. 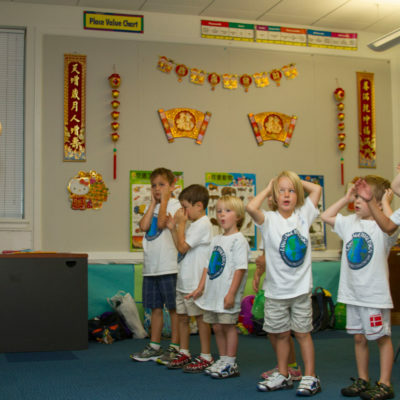 Students learn to communicate by participating in a variety of traditional and non-traditional activities. Students build their vocabulary while learning about a given culture. Using many different instructional strategies, art projects, singing, acting, computer tasks and some research, students are actively engaged in their learning process. First-come, first-served. Participants must be between the ages of 4 – 10 years. 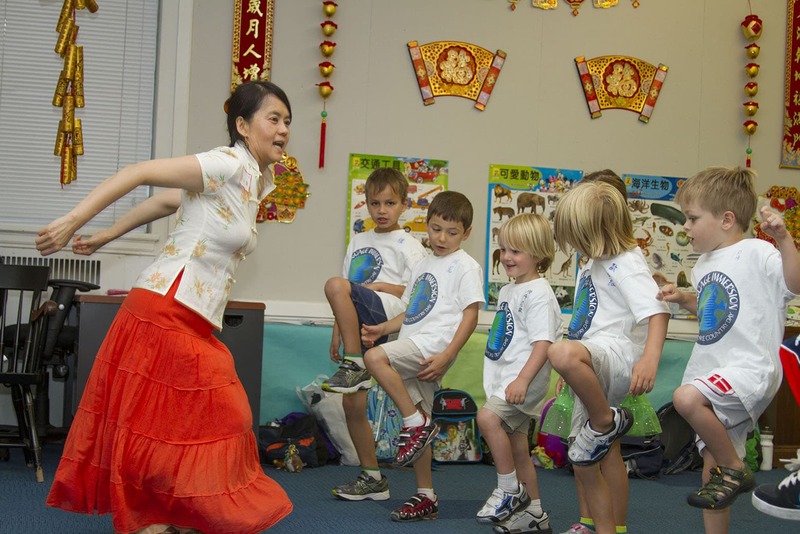 Instructors have language teaching experience and are from North Shore Country Day and other local schools. Afternoon program: 3:30 p.m – 5:30 p.m.